Despite being reduced to nine men for much of the second half, Boca Raton FC drew with Red Force 2-2 Saturday evening at Cypress Park. Shadi Harb and Justin Wilbanks recorded goals for Boca Raton who lost Gabriel Gonzalez to a red card late in the first half and Wilbanks to an injury after all the potential subs were made for the side thanks to injuries and the sending off. David Holguin scored twice for Red Force in quick succession in a three minute period in the second half before Wilbanks equalized moments later for Boca Raton. 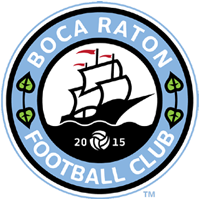 Boca Raton FC begins its first ever NPSL Sunshine Conference campaign in a showdown against reigning champions Miami United FC at Ted Hendricks Stadium on Sunday at 7:00 pm ET. Boca Raton has won four trophies in APSL over the course of the last two years, but in this congested period of matches faces APSL, NPSL and US Open Cup competition Boca Raton’s squad depth is being tested. Today the club’s playing squad came through in the clutch playing shorthanded as several players were held out of tonight’s match and then facing a two-man disadvantage on the pitch rallied to salvage a draw. The match showed the resiliency of the Boca Raton side and the willingness of teammates to scrap for one another. Boca Raton’s first NPSL Sunshine Conference home game is against Kraze United on May 12 at the Shipyard. Tickets are available here.